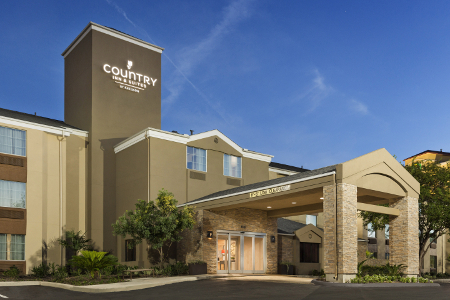 Choose the Country Inn & Suites® by Radisson, San Antonio Medical Center, TX off I-10 for easy access to top attractions like the San Antonio River Walk and Six Flags Fiesta Texas. 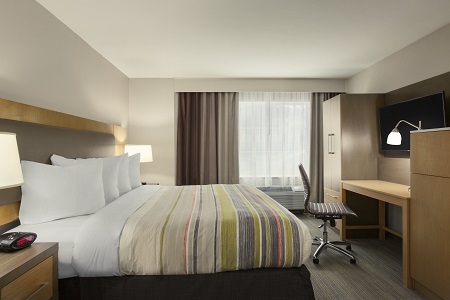 Our hotel is also adjacent to the South Texas Medical Center and The University of Texas Health Science Center. Outdoor Pool, 8:30 a.m. - 8:30 p.m.
Book our One-bedroom Suite for family vacations and enjoy a sofa bed that ensures everyone has a comfortable place to sleep. Please note that a $100 non-refundable cleaning fee will apply for each room with a pet. Let us cover the first meal of the day for you with our free, hot breakfast. 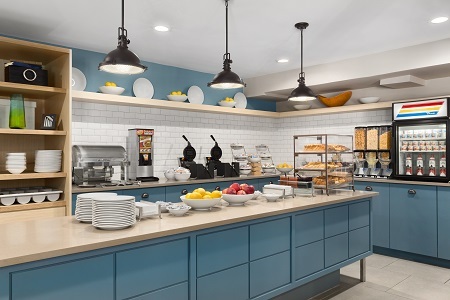 With everything from eggs and waffles to cereals and juice, our breakfast is certain to satisfy every taste. For lunch or dinner, you can walk across the street to Sumo Japanese Steakhouse, just one of several nearby restaurants. Six Flags Fiesta Texas - Get your adrenaline pumping on the roller coasters at Six Flags Fiesta Texas. Not for the faint of heart, the Fireball features rocket speeds, loops and 360-degree inversions for a head-spinning good time. San Antonio River Walk - This nearby park is dotted with cafes, boutiques and businesses in a pedestrian-friendly atmosphere. Located just eight miles from the hotel, the River Walk also hosts a variety of festivals and parades. SeaWorld San Antonio - Home to a marine mammal park and an animal theme park, SeaWorld San Antonio is worth the 14-mile drive from the hotel. Get up close to dolphins and beluga whales at one of the park’s shows. 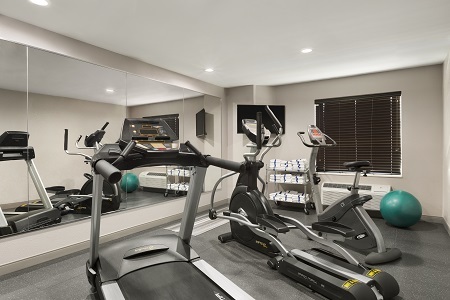 Read more about our San Antonio Medical Center hotel's location. 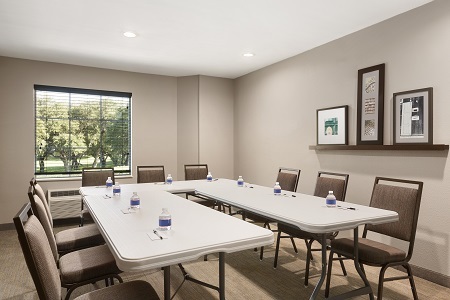 Host a business meeting or a social event for up to 25 people in our meeting space at the Country Inn & Suites. To ensure your event unfolds seamlessly, take advantage of audiovisual equipment for rent and access the business center to copy and print handouts.